Jordan packs an incredible amount of awesomeness into a small package. 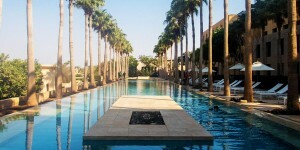 This oasis of peace in the Middle-East borders the countries of Syria and Iraq as well as Israel, Egypt and Palestine. But the politics of Jordan are far different than many of their neighbors. There are incredible places to visit in Jordan. It’s full if incredible castles and the oldest Roman ruins outside of Italy. Jordanian people are some of the friendliest we have ever encountered, and the food in Jordan is to die for. 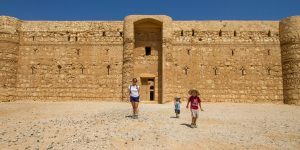 Our Jordan guide for families takes you through the country from the Petra Mountains to the Dead Sea where you’ll discover why we think Jordan is one of our top countries for family travel. Jordan is also not just dry desert. 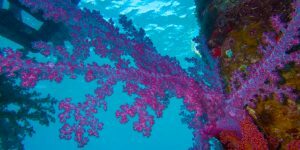 The country borders the Red Sea, which offers incredible snorkeling and SCUBA diving as well as amazing resorts. 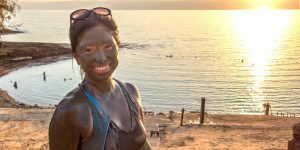 And the famous Dead Sea, where visitors flock to float and experience the magical healing powers of the Dead Sea mud. 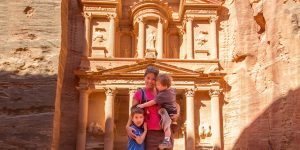 Explore The Wonders With Our Guide To Jordan with Kids! Check out some of our most popular Jordan blog posts. 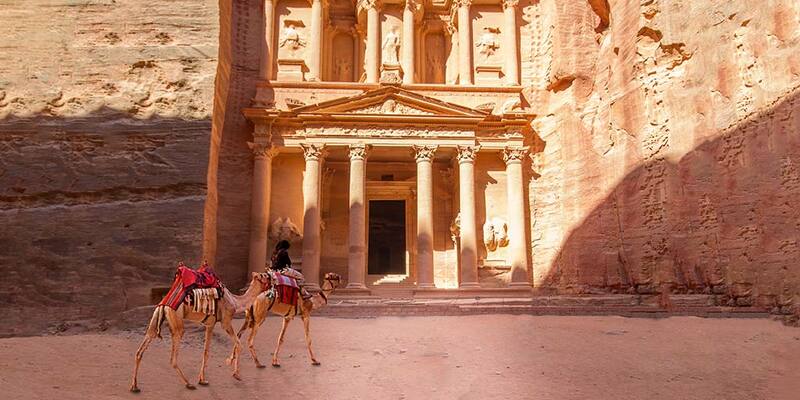 Jordan is on the bucket list of so many travelers. But can you visit Petra with kids? Check out how we explored the famous lost city with children! 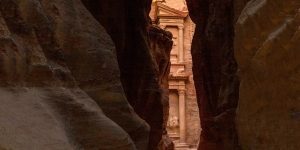 There is WAY more to Jordan than Amman and Petra! From ancient castles, spiritual mecca’s, and delicious food. 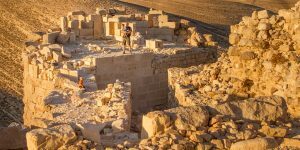 Discover all the treasures that we experienced during our 8-Day journey through Jordan with kids! 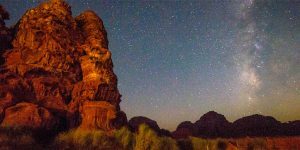 Camping in a Bedouin overnight camp beneath a canopy of stars in the Wadi Rum desert equals paradise! Learn about our experience in one of the most amazing places on Earth! Jordan is one of the most family-friendly countries on earth. This peaceful nation that borders Syria, Iraq, and Palestine is a bastion of peace in the middle-east. 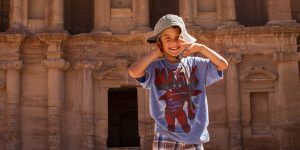 Jordan is known for it’s safety and the locals have a fondness for children that is almost unmatched among the countries we have traveled to. 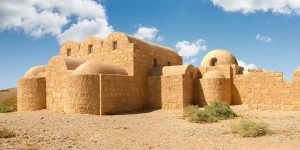 Our Jordan guide will tell you the best destinations for Jordan travel and give you some tips along the way. 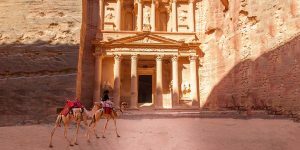 Before you book your travel to Jordan, here are a few things to know before you go. Jordan uses the Jordanian dinar. The average value is approximately $1.35 USD. You can check the current exchange rate here. The Capital of Jordan is Amman. This dense metropolis is home to over 4 million people. It is also the home of the King and Queen of Jordan. 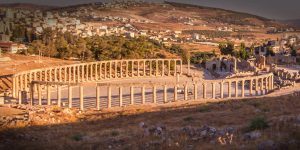 And the Amman Citadel, one of the oldest continually occupied places in the world. Jordan uses C, D, F, G and J type sockets. The standard voltage is 230 V and the standard frequency is 50 Hz. Cell phone service is readily available in over 90% of Jordan. Roads and highways in Jordan are well-maintained. Jordan is a small country, and hiring a car is a great way to see the remote areas. Be advised that traffic laws are followed “loosely” in Jordan. It is also not uncommon to find yourself sharing the road with camels and livestock such as sheep. We highly recommend family travel in Jordan. There are many amazing things to experience. And the people of Jordan are very warm and inviting, especially towards children and families. Touching of childrens faces and hair is common in Jordan.